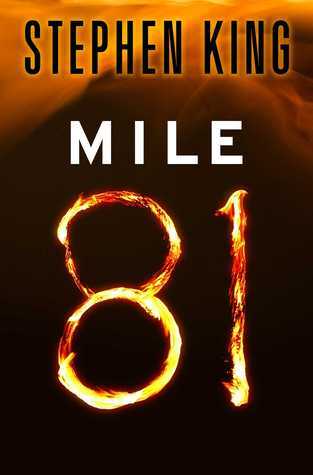 Following my recent review of The Girl Who Loved Tom Gordon, I decided to dip my toe into more of King's recent works and discovered Mile 81, a short story offered by Amazon as a "Kindle Single". Time is for me, temporarily sparse. I have so many commitments sucking up my time that I figured it would be best to stick with something short and sweet for a while, and this brief story seemed to fit the bill exactly. So far as I'm aware, Mile 81 is only available for digital download (though of course, I'd love to own a hard copy, even in paperback form). I did enjoy the concept of the story, but sincerely would have preferred a more drawn out ending. Mu apologies, Mr. King, I'm sorry to say this novella doesn't match up to your more complete works.